A great team is all the time humble and have the ability to listen to everyone, facilitating freedom to communicate each member’s thoughts and perspectives irrespective of hierarchies, which in turn would help build a great product. UX should not be a single designer or design team’s concern, but the complete development team needs the understanding of why, what & who they are developing this product for. Rather, now adays UX is conceived and misinterpreted as a Tool driven deliverable or look and feel improvisations. Instead the entire team with all stakeholders on board should be involved in solving major UX problems. One such democratic design activity is UX-JAD sessions. In my opinion, this should be made mandate in most companies and as Designers I think it is high time we shed our ego and also let the development teams to break the myth about ‘Design Thinking’ and its ownership (of course, a designer with Designers Gyan on proven research facts & experience would bring in more value to this session) any one with lateral mind can crack a good solution, why not the Programmers, testers, BA and QAs. Today’s meeting is yet another day in a two week Agile UX-JAD session (Joint application design); a methodology that involves the product owners & all the stakeholders in the design of software. As a UX Designer, I had initiated this collaborative design workshop for an IOT based B2B product, since I strongly believed that this session would stimulate better design culture as well as resolve any difficulties or differences between the various stakeholders regarding the information system, UI and flow of the product. JAD sessions are believed to reduce the time for requirement gathering, freezing features as well considered as a most cost effective method; it also has advantages of getting instant feedback regarding feasibility of certain features or ideas from the stake holders. Most of all, there should be excitement among the team members in brainstorming new concepts, after all, design is a collaborative activity and getting more ideas with more logical thinkers on board mean a good solution. All locked up in an AC conference room (just out of workstations) with one CISCO phone and a round table with an over enthusiastic Designer me, a Business Analyst and a completely silent remaining crowd, we were supposed to shower thoughts the next minute & still there is uneasiness with the crowd, insecurity rises up and we could experience an invisible pear pressure mounting. There is a problem with traditional office brainstorming sessions and I strongly believe it is not the best way to ensure Innovation. Yes, it’s getting stuck within walls; it’s not fun to be part of. A good group thinking session has to be natural, fun and playful, it should be conducted with ease, not forcefully not painfully and most of all has to be entertainingly engaging. “Organizations routinely kill creativity with fake deadlines or impossibly tight ones,” Amabile wrote in the Harvard Business Review. Lack of creativity creates distrust and the tight deadline cause burnout.”, she added companies often unwisely crush creativity by giving innovators no free space in their schedules for the kind of thought process that leads to cracking ideas: “It can be slow down or be a road barrier to explore new concepts or come up with unique solutions”. I am sure most of the designers or developers from cooperates and are reading this write-up can relate this to their daily work life, even product start-up which claim to have good ambiance with cool graffiti & flat modern layouts workplaces don’t lead way to amazing work experience. Those glossy materials do not add any value to productivity or psychological aspect of a team member. Culture is something which is built invisibly and eventually, not overnight by revamping the office space. When Culture & Team go hand in hand that’s where great products are built. Great teams have a strong, unique culture, and they ensure each member excels and improvises on a longer term. Startup Catalyst Ryan Lilly once funnily quoted “My best ideas come in the shower, where I’m showered with water, but also ideas.” You cannot breed innovation in any Corporate or Startup environment within the four walls or sticking yourself to a single monotonous method. Yes I choose to take a new road yet in the existing space, yet inside the same conference room with a touch of kindergarten play to it. Though I know continuous heated arguments had happened in recent past and as i entered i could see the cold stare from fellow peers which mind communicated uncomfortably, dislike & uninteresting loiter thoughts, still i chose to stick to my stand. I don’t blame them, as this is due to tight schedules, especially with B2B application, i aside to myself after all i am Designer i need to have Empathy off my project too !!! Before I share this idea, I would like share my gratitude to have got inspiration from the following blogs that inspired my idea, though this is a minor tweak in the existing process which is already being widely used. 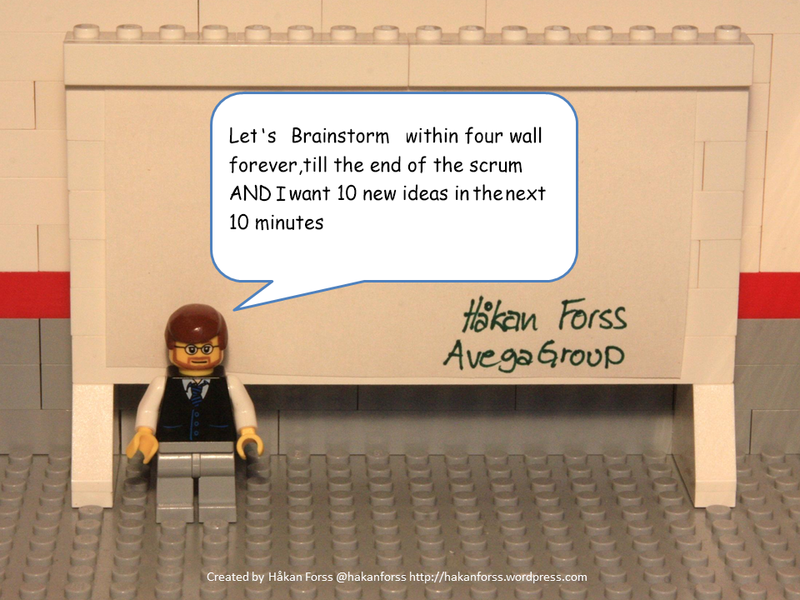 Agile LEGO By Håkan Forss, LEGO Scrum by Alexey Krivitsky, LEGO Serious Play articles.Plus Special Credits to Debby & Purusothaman who helped me document & changed my odds of horrible grammar & hopeless spelling mistakes of dyslexic content to a more reader friendly write-up. 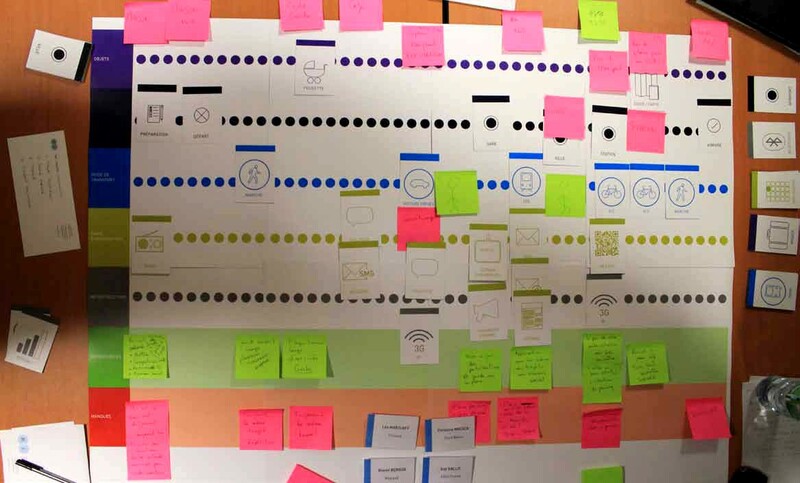 A customer journey map is a process which unearths the story of the customer’s experience both offline and online within the system from the initial point of contact, through the process of interacting. This provides a sense of the customer’s greater motivation. It is a methodology to keep the development team and organisation know more about their customers as well as it identifies the following key data. The main focus is to document the CX through their perspective, helping the team best understand how customers interact with the product which in turn helps identify areas of improvement. Great customer journey maps are data-driven and they visually represent the different phases your customers experience based on a variety of dimensions such as sentiment, goals etc. 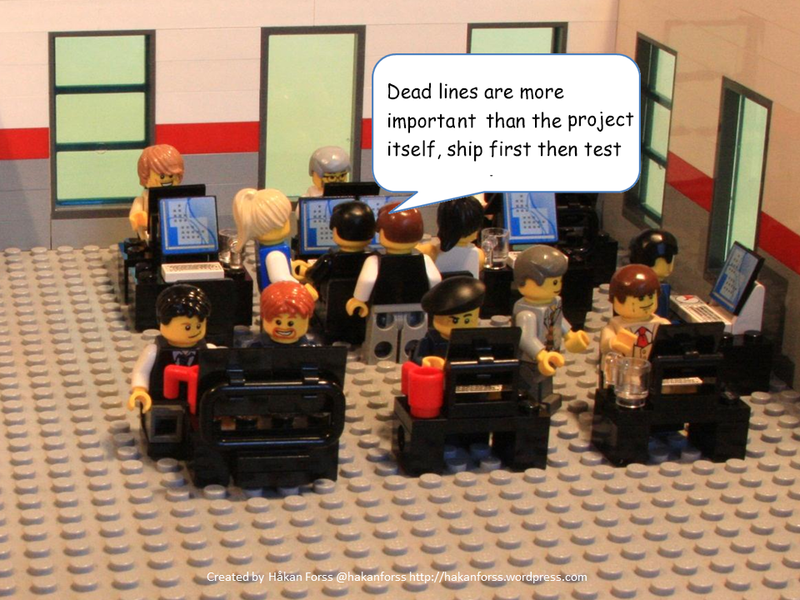 This also helps both the organisation & development team come closer to the users. 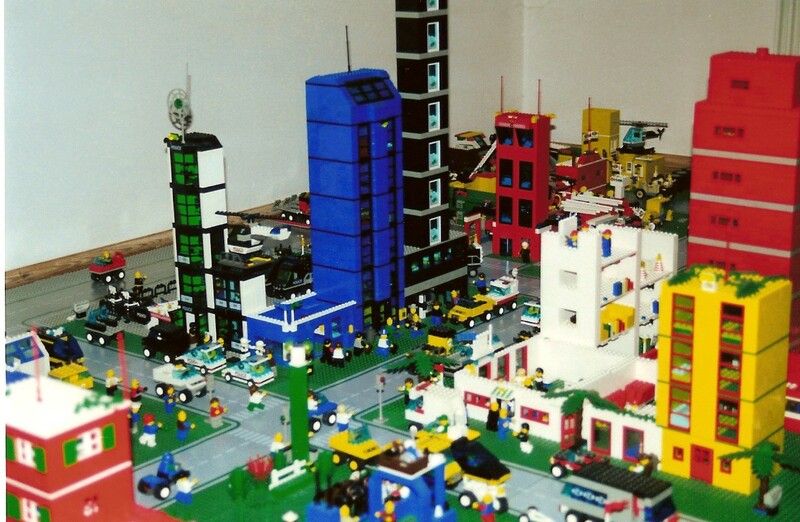 Lego City sets are based on city life, with the models depicting city and emergency services airport, train, construction, and civilian services. 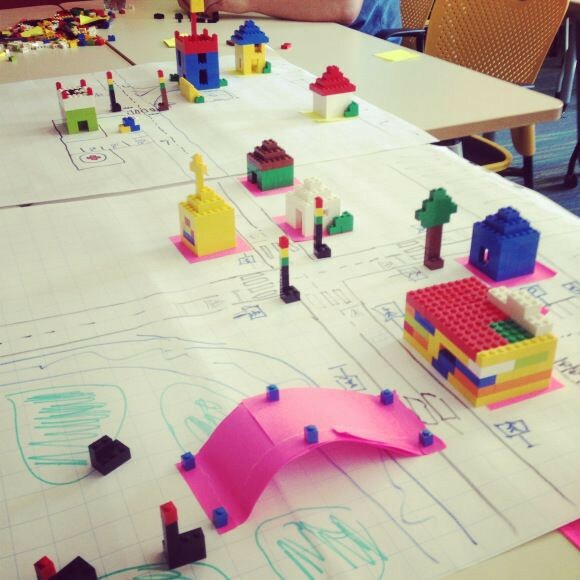 If city planning can be illustrated with LEGO bricks, why not Customer Journey Mapping. 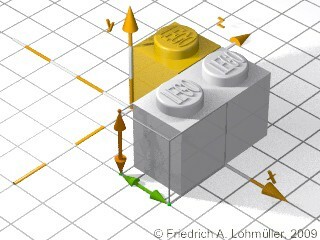 You already have some figures in place, so you can make your hands dirty with the blocks instead of pencil and paper. 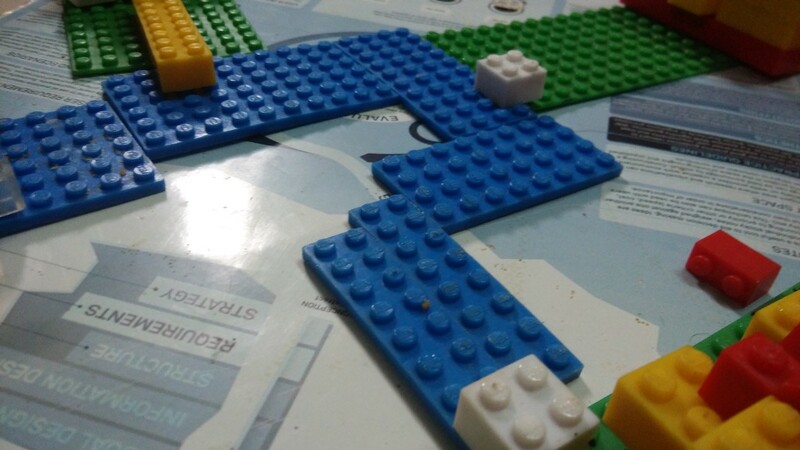 Illustrating the Journey becomes more interesting and detailed with block in hand especially building that along with your own team. As I showed my team the basic flow, a Quality Analyst jumped in like a teen kid, simultaneously a Performance tester started narrating the user flow scenario with the user miniature in his hand” so the user comes to our system over a long hour travel and…..” the excitement had just begun! The unique aspect of a persona description is that you don’t have to look at the entire person, but use the area of focus or domain where you have to address the problem which zooms to highlight the relevant attitudes and the specific context associated with the area of work. A “user” means different things to different people and is often used generically to describe the average customer, actually which is not the same as a persona. In UX, personas are used to define and design interactive products. Same way we work on prioritized scenarios. Usually a stock image or sketch of a person corresponding to the persona is described in a persona. 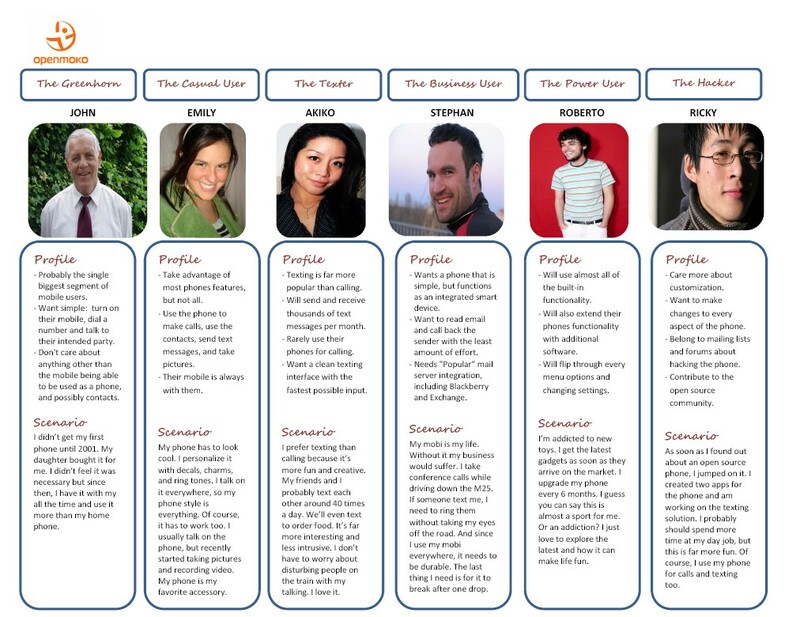 How cool will it be if you are playing around with your personas mapping their scenarios? Although personas provide many cost- and time-saving benefits, there is a downfall to using them. If a team spends too much effort and thought developing the persona too much into the tiny details of the persona’s narrative, it can consume a lot of time in the development process and create large documents, which are actually ineffective mainly in Indian environments where in the UX process, these are least bothered for and not encouraged until you show them to the Clients or Stakeholders. Jenny, Mark and Steve are three Personas we sketched out which was derived from our factual users profiles, needs, wants and expectation. It was fun playing around with these tiny miniatures along with the team on scenario play(you will discover it in next chapter) Personas help to prevent self-referential thinking through which a designer designs as if they are making the software only for themselves. With LEGO character in place, it helps keep in mind that the audience is quite unlike them. User Persona per satisfaction ratio and feature prioritization becomes more colourful and more illustrated. 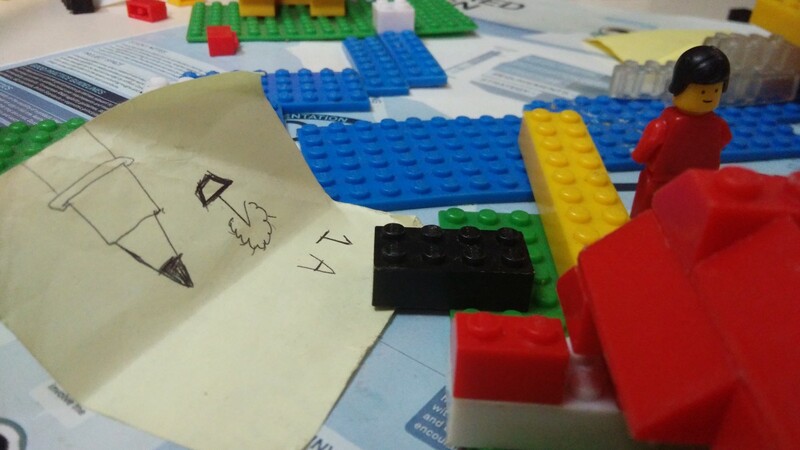 With the Lego Character in hand and with a plotted scenario the whole development team could plot various probabilities, and explaining them to the stakeholders becomes simpler. 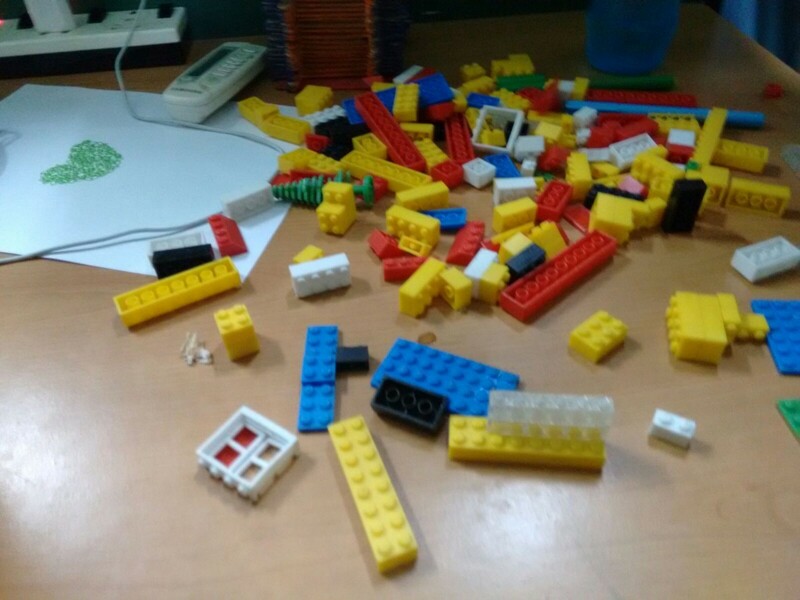 The task was to build a Lego city based on the requirements of our product and user scenarios. We were to conduct a business analysis phase, followed by three “sprints” to build the various scenarios. I re-discovered the benefits of using the agile methodology and how it is applicable to a real ERP implementation project. 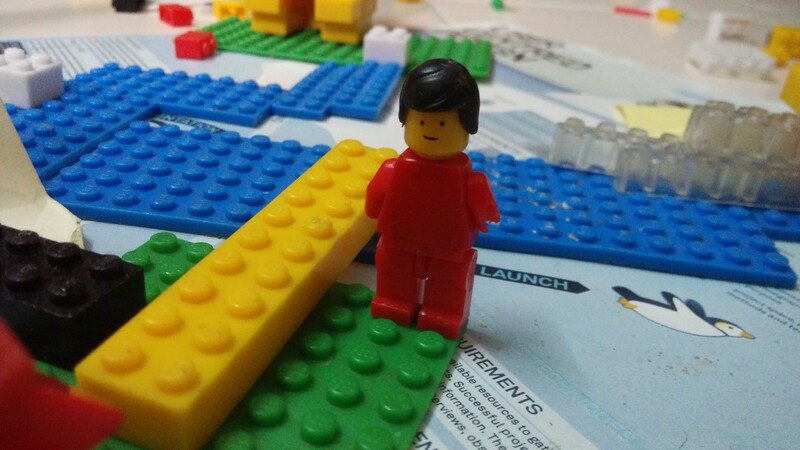 More than that we have our Personas playing with our real time LEGO setup travelling the paths undertaken and most of all our DEV teams playing users understanding their pain points, needs, solutions and probabilities. Agile, having to work on a faster phase we can’t implement all features within three or four sprints. 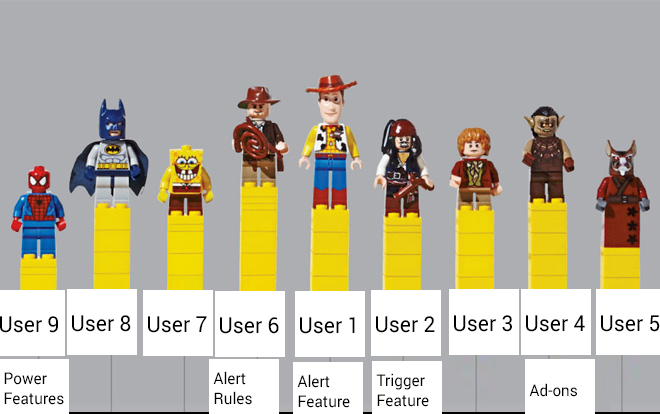 Lego User vs Feature process help in organizing features with respect to user groups with a bunch of individuals debating about the various features. It also can give stats on User Satisfaction based on finalized features. In the above image we had nine user groups and what feature we finalized to solve user problem is the height in which the character is placed describing the level in which his problems have been addressed. 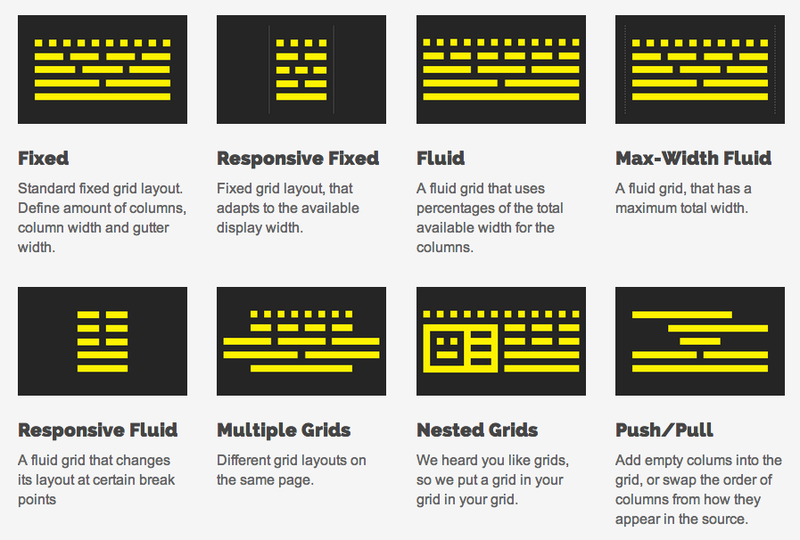 The whole idea of LEGO was built on a grid system like any other design, so are our UI layouts. 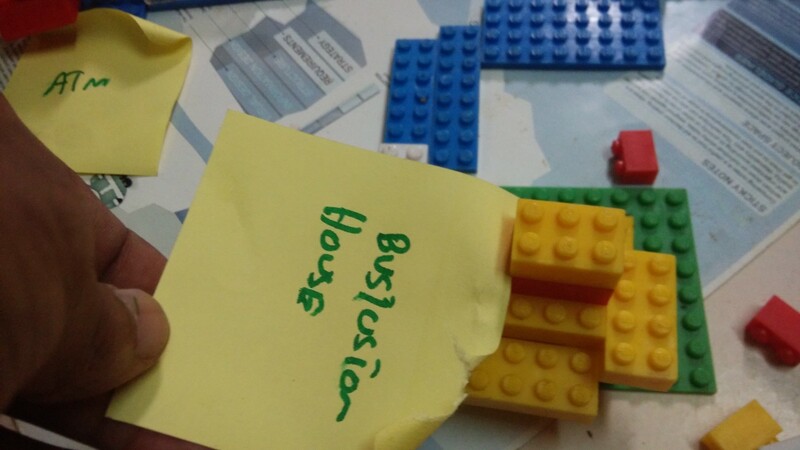 It is not a crime to use alternative prototyping medium, especially if it is participatory and improving the current method. In my current project we are paper prototyping the UI concepts and getting mutual agreement from all stakeholders. Can’t this be more engaging than just getting feedback? We have most times underrated our UI prototyping process within the margin of paper or a software tool; it is always flocked as two dimensional methods. But little did we understand that wherever there are hierarchies there is an extra 3rd face coming into the picture. In a User Interface, there are visual cues, content hierarchies and different accordance levels which in no way are discussed in a low prototyping process, current methodological starts and ends leveraging the iteration process. Traditionally, when my product owners give me the problem statement or requirement as Use Case, I would come up with UI Concepts on a Paper Prototypes since it’s quick and fast and you could freeze the basic layout positions and initial functions. But this argument has been done for a long time for its limitations because of its simplicity; paper prototypes do not support the evaluation of fine design detail. Some say due to the use of paper you cannot calculate system response times, do not find all classes of problems with an interface and most of all this makes some development teams nervous because they fear users will think it is unprofessional, and few have problems with getting their hands dirty on re- iterating a sketch since few non designers in the team believe they are not good in Sketching, the usual Right VS Left brain myth. 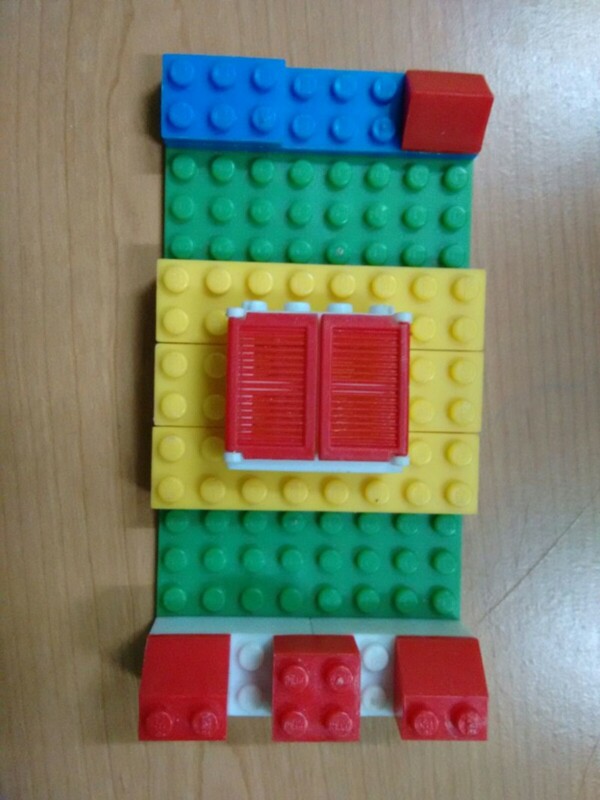 As I read out my user story, I also showcased the mobile layout built out of LEGO!!! Yes why not? It consisted of basic layout buttons, not detailed ones. Just at the top level prototype, I was able to explain my UI and functionalities in a 3D fashion. There was this crucial decision wherein we had to prioritize between major buttons for which I passed on my kit to my product owner. All that he had to do was either move the block on a major portion and add one more block to the button which had to be prioritized than the other. Here in this methodology, I just froze the visual cues along with affordance weightages. The participation from other developer friends flowed in as they wanted to try new layouts. 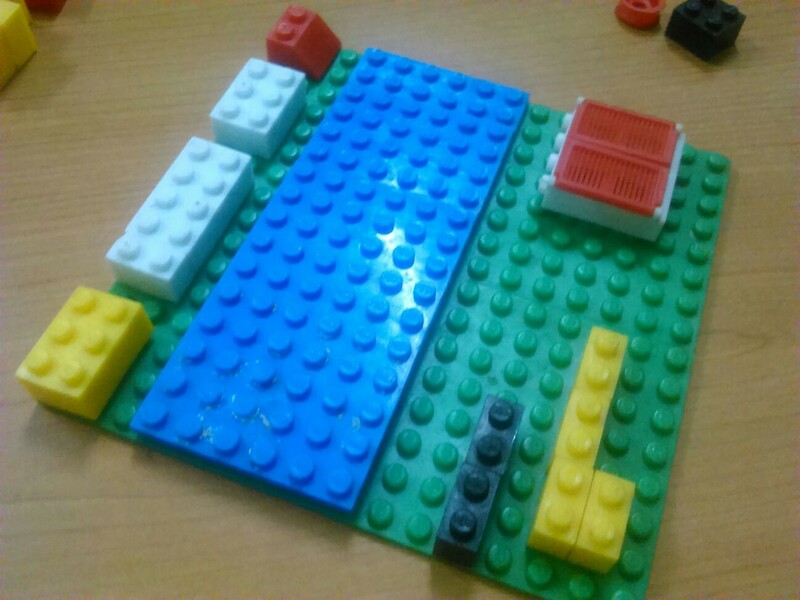 On such time, a new DEV guy used a flat brick to explain the pop up scenario after the actionable item is placed. If my Business or Management graduate friends ask me the Return of Investment for this activity, I don’t have an answer nor would waste my time figuring that out. For my friends in the Delivery unit, I understand that you are responsible for the aggressive drive to produce quality work and ship that product as soon as possible. But these two criteria contradict with each other and at the end of the day to build great product you need to have a good culture within the team, I am sure the other participants like Developers or Testers would love to be part of building something. Why a new approach which has not even been tested with teams? Has this been proved successful across the globe? It doesn’t have to be, by doing this I really enjoyed my time in office and besides bringing out my inner child, I also found I can have fun building a clean product, all I know is I was really satisfied doing it and would love to continue it as long as it works. However, great teams selectively embrace new thinking, new ideas, new methods & new tools. Why a new add-on to process all of a sudden ? It’s just my attempt to tweak an existing process to suite my needs, and it is an honest attempt to show some empathy offline to my fellow peers by opening an active participation culture, it is also an attempt to not fall prey for sheep behavior. This a high alert emergent problem in the creative and innovation field where there are lots of gurus who unearth their Success stories, it’s good to listen to them, but foolishness to follow without question. Some of the most successful people like Steve Jobs, Don Norman, Allen Cooper have their own contribution towards Design, it is true they set the standards in design, respect it, embrace it, use it in projects, but those are not the bible and rule book to right design. Knowing the rules and breaking them sensibly is the best universal truth to stay original and this has worked all the time even for the above legends. What worked for legends might not work for you all the time. Each one has your own goal towards creativity; every path to success is different, as you are unique. Instead of it, we just fall prey to stardom in a creative community who just wants to be a Steve Jobs clone! It is high time we realize and work on the methods which work best for us and methods which bread creativity as well as good empathy towards Users!